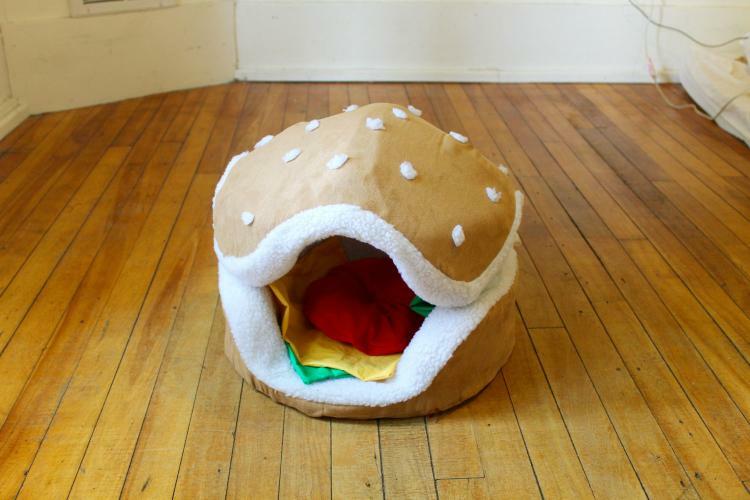 Quite similar and most likely a copy of the original Hamburger Cat Bed that we've featured in the past, this Hamburger bed is made to look a little more realistic and more like a hamburger. Plus it's bigger and roomier so your dog or cat won't have to suffocate themselves when they go inside to take a nap. 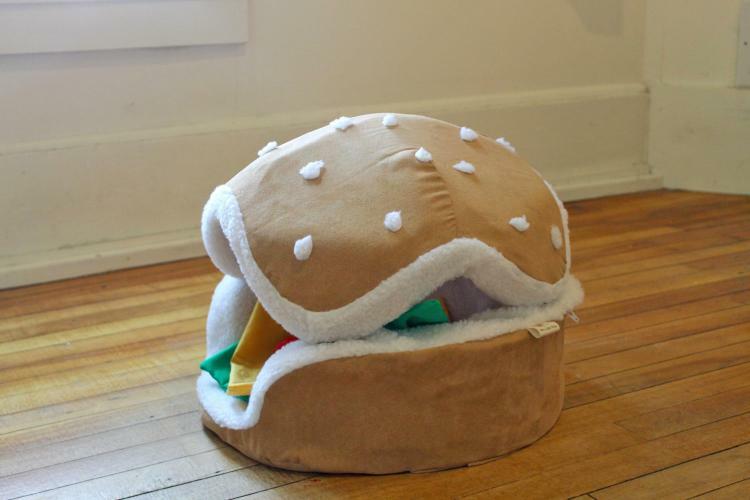 Fully featured with sesame seeds on the top bun, along with optional blankets inside that resemble meat, tomatoes, cheese, and lettuce, the hamburger pet bed is perfect for any cheeseburger loving cat, dog, or pet owner. 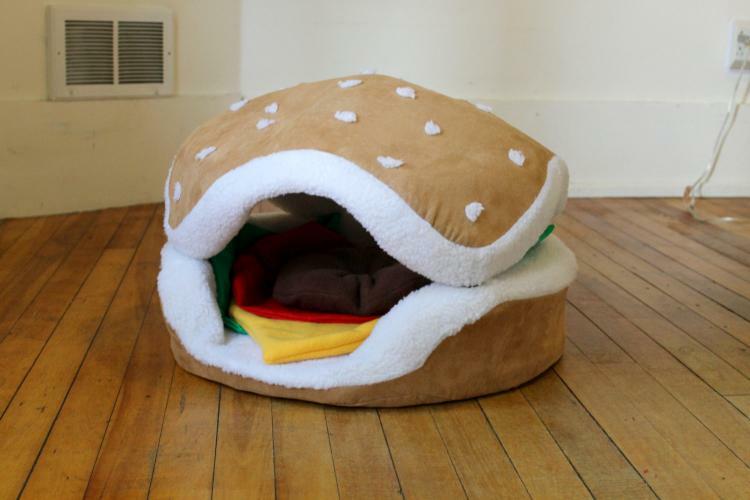 Now they just need to make a cheeseburger bed for humans, so you and your pet can lay side-by-side inside a toasty burger... Oh wait. 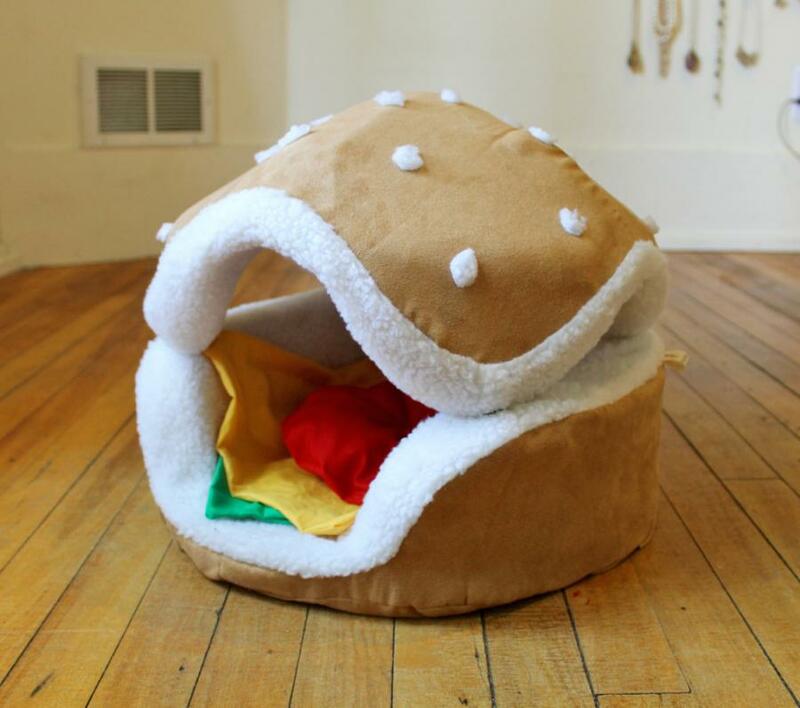 Made by Etsy store The Cat's Paw Boutique, the hamburger pet bed comes in two different sizes, a smaller size that measures 16 inches in diameter which is great for tiny dogs or most sized cats, and a bigger version that measures 20 inches in diameter which is better for smaller to medium sized dogs or fat kitties. FYI, the bigger version will run you an extra $10 in shipping. 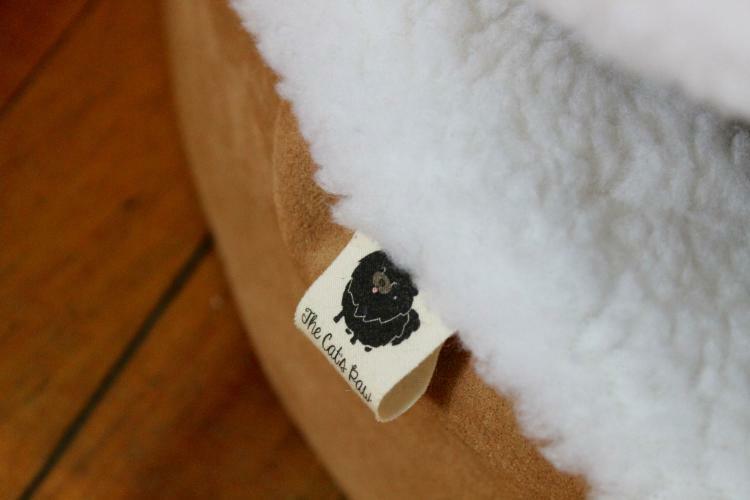 The hamburger pet bed is handmade from suede fabric on the outside along with faux sherpa on the inside which will make you dog or cat never want to leave their bed, is filled with foam, and has optional toppings that will run you a few extra bucks.